Are you trying to find your clients on social media? When my clients start to build their social media strategy one of the first things we talk about are the basics. We are going to talk about what I consider to be the three most important steps in setting up your social media strategy. When setting up your profiles there are a few rules, things you need to pay close attention to. First, you want to be sure that you complete your profiles 100%. If there is a place for information, fill it out. You can always go back and change things later. Second, be sure your website address appears multiple times in your profile. For example, on your Facebook Fan Page put it in the About section, in the actual Websites section and the Products section. When listing your website on a social media site use http:// instead of just using www. – example http://DecisiveMinds.com. Third, you want to be keyword specific in every place that you can on social media. For example, on Twitter you have a short bio. but you want to be sure to utilize keywords that will help your ideal client find you. For step two in your social media checklist we want to take a look at your image. On social media sites you want to use the same image or images that are similar. You want people to be able to recognize you without your name. The other thing is that it needs to be a true representation of you. I was recently at a speaking engagement when someone said “Wow, You look just like you do on Facebook.” If your hair has changed, if you are older, it doesn’t matter. Just be you. The picture should be of you smiling and looking at the camera. Also it should be only you in the picture – no pet, no sister, no child. You want to make it easy for someone to connect with you through your image. Why is your website part of the basics of social media strategy? 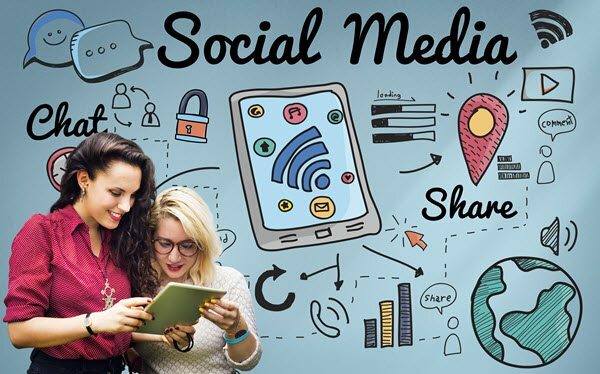 Because social media is the site you meet people and start to build relationship but the long term strategy is to get those people on your list and that is where your website comes in. Is your website set up to build an email list. Do you have something on your website that you are giving away for free in exchange for peoples email address? Oh and this is not your newsletter. I just had a conversation with someone a couple of days ago who was complaining about their list not building and when I looked at their site I saw two problems; 1. the opt-in was on the bottom of the page so I couldn’t even find it at first and 2. it was offering people a newsletter. NO ONE WANTS A NEWSLETTER! Or at least they aren’t going to give you their email address for that. They want a checklist, a e-book, a template, etc. Now that you are clear about the basics the next thing you should be focused on is how to get found on social media. Recently I taught a class called How to 10X Your Facebook Views and you can have it for free. Simply give me your email address so I can send it to you.